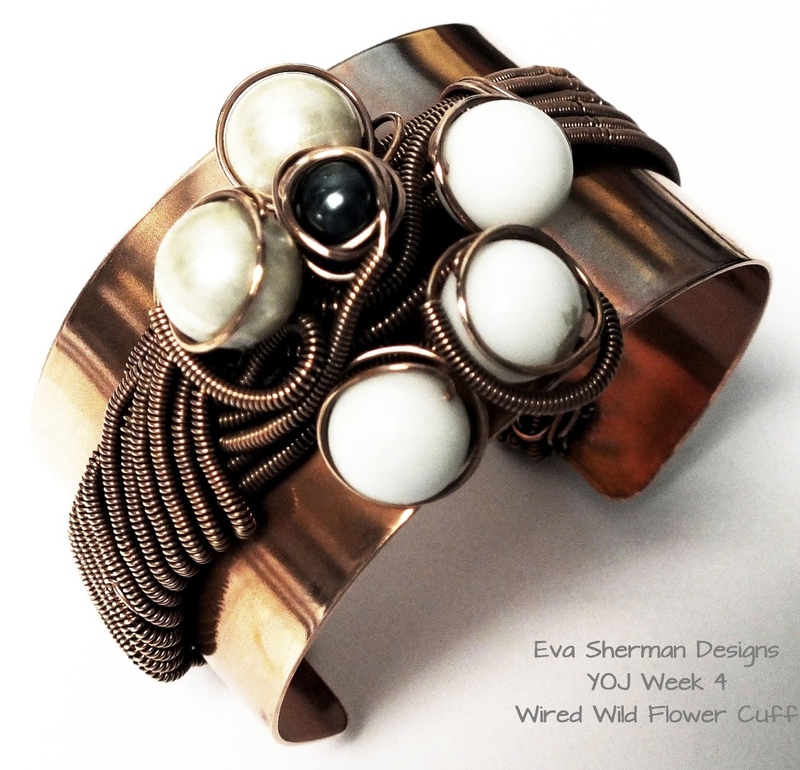 The cover of the March issue of Art Jewelry has an amazing copper cuff by Eva Sherman. Eva has a very impressive background story…wife, mother, architect, jewelry artist, small business owner, teacher, 3 time cancer survivor, Hungarian immigrant, world traveler, blogger and soon to be author…WHEW!!! With that resume she is certainly worthy of a cover story in a variety of magazines.